This entry was posted in Uncategorized and tagged depression, identity, job, serious, unemployment, work. Bookmark the permalink. A lot can identity with this. I sure do. Thank you. I left my job last year with no new job lined up… I went through a similar identity crisis. I felt that because I was not employed, I wasn’t actually a teacher anymore. I felt bad when I was enjoying my free time, or spending money. You are obviously a great writer, and something better will come along! Well said! It is a hard lesson to not let our highs define us (I’m a doctor! I’m a banker…) so that we don’t have to let our lows define us. My nugget of truth I took away from therapy was that both happiness and depression were like butterflies that flit in and out of your life: temporary. Pay them no mind. Whenever my career has gotten me down over the years, I’ve reminded myself that to the people who really love me, my “title” doesn’t matter in the slightest. My job isn’t part of the equation when it comes to how and why they value me. Sometimes it’s easier to be more generous with others than we are with ourselves. I empathize with what you’re going through, and I’m keeping my fingers crossed for a great opportunity around the corner. Thanks so much. Right now I’m just trying not to define myself as a loser and doomed, given the circumstances and stress, and to remain hopeful that something will eventually come up. Thank you so much for the comment! I loved every word of this post, Abby. You’re going to be just fine. I think half the battle is the perspective, and yours is looking pretty damn good right now. Plus… hummus is delicious. 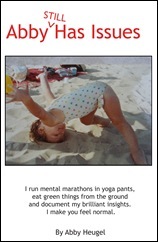 Abby, this spoke to me – love this post. It’s tricky business trying NOT to let that other crap define us. I agree with Emelie about how perspective is half the battle, and your perspective is both hilarious and REAL. Sending good vibes and wishing you all good things!! This is a great post that hits home to me in so many ways. We need to remember that we aren’t defined by one thing, but by the entire journey of our lives. Amen. It’s so hard to shed the labels we give ourselves. We are a label driven society. But you’re so right that they don’t define us. Love this one. A very welcome post in this time of uncertainty for SO many of us. Any essay that makes people feel less alone has accomplished an awful lot. Well done, and nicely written too. Wow! This post really resonates with me.. I quit my job 6 months ago to take a short break n find the perfect job.. The months flew by and i am still unemployed.. Every other day I find myself feeling “it’s just one of those days” and find it hard to cope.. But reading this today, i feel a strange sense of calm.. Thank you for sharing this post! More power to you! What a great lesson we all need to revist from time to time. Thank you Abby! Keep your chin up. i can relate to some of this. When I left my ins. claims job of 25 years to try something new, I lost my identity and some of my self-esteem. I went from being the “go to” person to feeling so lost and so ignorant. I soon left that job and went back to insurance claims work for an agent. Then when my husband passed away 15 months ago, I felt lost too. I was no longer identified as his wife…I was just me. I’m learned to embrace that and I am proud of who I am. Are you connected with Linkedin? I get great job offers all the time from that connection. Good luck. And let people know you are looking for work….it often results in some leads. Thanks. Trust me when I say I’ve sent a million emails, joined a bunch of job sites and have been on LinkedIn for years. It’s just a slow, frustrating process, as you know. And I’m so sorry for your loss. As a freelance musician, I’ve never worked normal hours. A couple hours teaching in he afternoon, rehearsals at night means I’m working 3-11pm four or five days a week. That means (to my mother in particular) that I don’t “work” because I’m not working 9-5. She talks to me like I’m unemployed and how “someday” I’ll get a real orchestra job. She does t see that I do have A REAL orchestra job! It’s hard to explain to her and most people who just see me lazing around marathon training in the mornings & running errands until I leave at 3:00. Being a musician defines me to me, but apparently not to anyone else. During my depression I didn’t even think of myself as a musician I thought of myself as some blob of a human, worthless, and it was painful to live in the perception my mother was always seeing me as. Abby, thanks for sharing your struggles with everything. As a musician I live in a perpetual world of “between jobs” so I know how you feel to a great extent. Things will work out and for the best. Just hang in there!! Sometimes, I read your posts and think we were separated at birth! This post made me think that again. After becoming too sick to continue working, I had to leave my job. I had been working continuously since I was 19. I had struggled desperately to keep working, commuting to work with a piercing migraine so bad I couldn’t see out of one eye. Sitting at my desk with tears streaming down my face because the pain in my spine was so bad. Spending more time in the bathroom than at my desk some days because the nausea was overwhelming. After I left the job, I lost all sense of myself. I realized for the first time that my work completely defined me, and always had. Not having a formal education, I felt like I had something to prove, and I damn near killed myself proving it. I was very good at my job, and was promoted into management every place I worked. Now, with no job, and being extremely sick, who was I? How was I worth anything anymore? It’s been over 3 years since I stopped working, and there are still days where I mourn the loss of my job. But, I’ve also learned in that time that I am so much more than my work. I matter and am important, not because of my work, but because of the person I am. My true friends and family know this, and they remind me all the time. It takes time to make peace with this, but I promise, even though you’ll still have those bad days, you’ll get there. And when you find that job you’ve been seeking, you’ll be an even better employee because of it. I’ve enjoyed your posts since I first found you. I don’t know what kind of job you’re looking for, but have you considered being a copywriter at an advertising agency? With your humor and writing skill, I would think it would be a natural fit. good luck! If Seattle could be in your future (think: moderate climate, snow rarely, seaport), I can put in a referral for you. Ours is one of the bigger advertising agencies in Seattle. Thank you, but I can’t relocate! Anything has to be locally or able to be done remotely. I appreciate that, though. I can completely see that. I don’t talk much about my accomplishments but I see my circumstances very clearly. I’ve struggled to find myself since becoming a SAHM, but I’m now getting it back. I have become committed to my family, because I like defining myself as a mother, but I am also a business woman and a giver. Good luck on the job hunt! Very well said. I can relate. When I quit my Park Avenue job in NYC to move to the sunnier climes of LA, I thought no problem — I’ll get a little tanning done while I look for a job. Then BAM! Identity crisis and panic. I had no idea how much being gainfully employed defined who I was. Anyway, I eventually found a cool job — and I know you will too! Sending lots of good, positive thoughts out to you! I was in the same boat 4 years ago Abby when i was laid off. My work has always been my identity, which I think is true for a lot of women who never had kids. It was what defined me and then…it wasn’t. I’ve not found another job and trying to reshift my feelings about myself without one has become my work. I was 59 had been with the same company for 36 years when I lost my job. I lost a huge part of my identity. What does one do when you realize you are not on vacation when you are not heading to work? There are a lot of hours to fill and at that age who wants you? I can guarantee there will be hard days, you will find some way to support yourself and you will learn to define yourself in other ways. With your talent and insight, you have a great head start. When you get to the end of your rope. Tie a knot and hang on…. I’ve been in your shoes and know what you are going through. You will learn when you identify with a thing; title, job etc. we are working from the stand point “the ego”. What happens when we lose that which defined us we feel lost. But, I’m here to remind you: what you are is so magnificent it cannot be named or contained in one single person. Get in touch with that and the rest will fall into place. Abby, I’ve had this experience and felt the bottom drop out of my stomach. Something even better always turned up. You’re absolutely right about the Universe. It tickles you with a feather and if you don’t listen it hits you with a brick. You are so smart and funny and talented, I have to believe it has something very special coming your way. Hugs! I couldn’t agree more. Especially since I’ve been there myself. It’s easy to get caught up in our high & low points in life & base out identities on them. But it’s like you said. We’re all just an ongoing work in progress. So often we lead with our jobs as our identity. This helps to perpetuate the belief that that is what defines us. The reality is what defines you has nothing to do with your job and more to do with your values. It’s a good lesson. (Panic obscures it so you have to wade through that for any progress) Sometimes you have to float. Each time I got laid off, I ended up in a field I never even considered – never thought I had anything to offer there – but each one turned out better than the last. Skills add up and turn out to be extremely useful in multiple applications. Writers really are in better shape than many in this regard. So many think writing is some magic process. Flexibility/ recognizing opportunities, seeing skill applications in unexpected places, and marketing yourself when given the chance. You’ll land. But sometimes you have to float. I see a talented writer with a successful blog and a loyal following. To me, that defines who you are! Wonderfully written, i was actually just talking about something similar to this on my blog today. 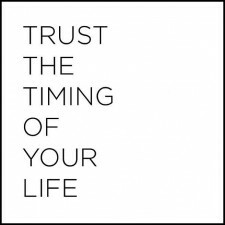 It is so true you have to trust in the timing, the universe doesn’t always move at the pace you would like it to. I ended today’s post talking about being a work in progress as well. Great minds and all that. I see a fantastically charming and witty writer who has a self depreciating sense of humor coupled with a love of sweats and only the very best hummus. You are damn funny and a wonderful writer, and you’ll ultimately create your own and next identity because you’re a work in progress. Thanks so much. Here’s hoping, my friend. This is a fabulous piece. Thank you Abby. I know it’s hard.. I no longer work and on disability.. There are still says where I feel lost.. Be patient and take sometime to explore what makes you joy filled.